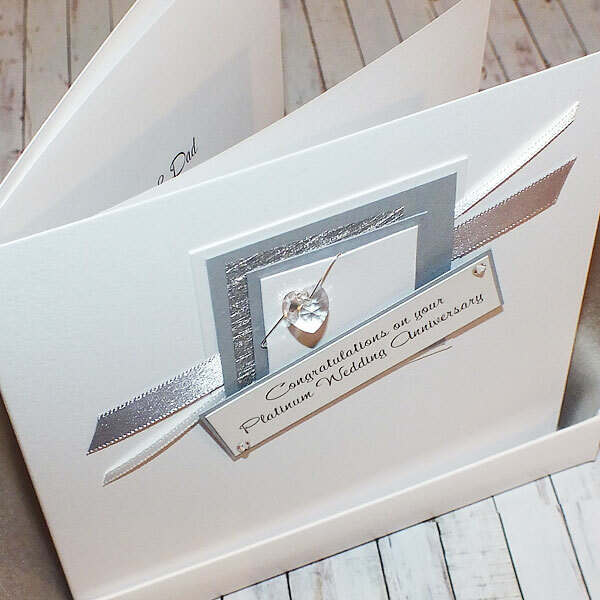 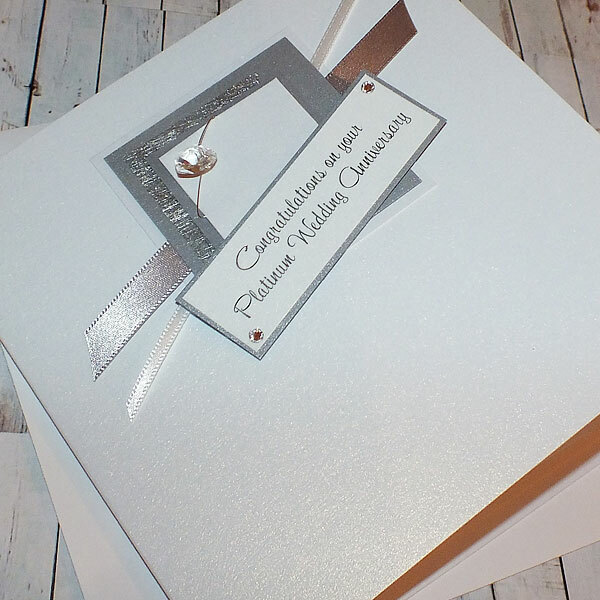 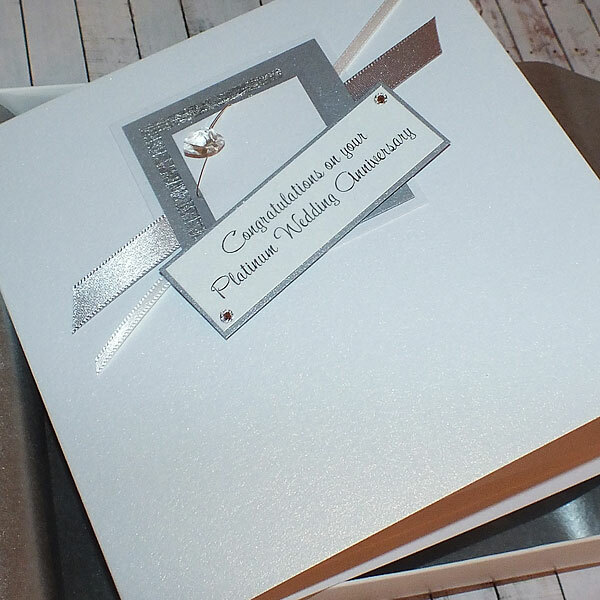 Personalised Card "Platinum Wedding Anniversary"
Card size: 140 x 140mm. 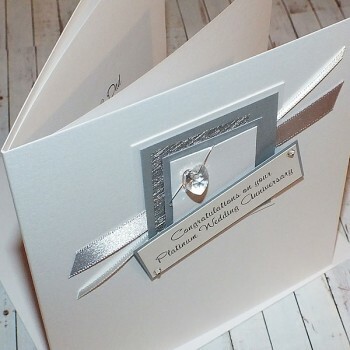 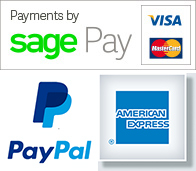 The card is supplied with a white envelope. 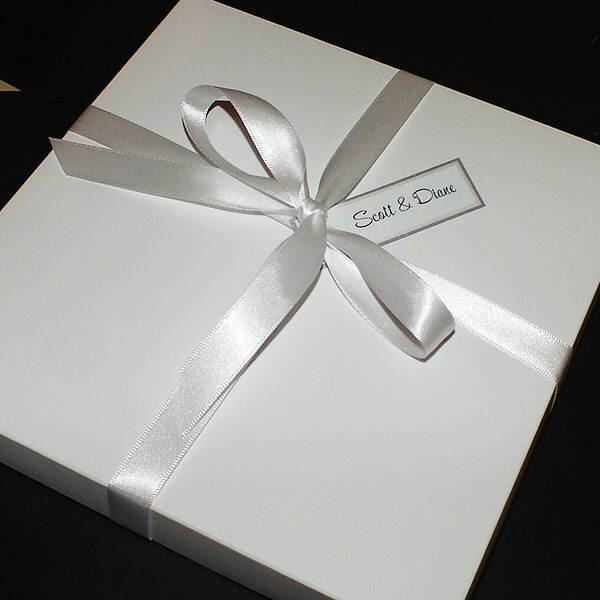 Also available in a tissue lined box, tied with a satin ribbon.